I’m sitting here at Laguardia Airport, waiting to jump on a flight to Chicago. Just 8 hours ago, I was in New Jersey shooting a commercial, and now I’m hopping on a bright and early flight to a callback for a fashion show in the Windy City! My phone has 5% battery because I made the absolute blunder of not double checking that it was actually charging when I plugged it in when I passed out at 2am last night. Yeahhh so waking up this morning with a dead phone was quite the heart stopper. Good thing I always set my old school radio alarm as a back up when I have a morning flight. It came in handy this time! (And please note that yes, I did look like a complete crazy person snapping photos of every item in my bag.) haha I do it for you, friend! What’s in my Bag – Travel Edition! First of all: my outfit. I love traveling in layers. That means super stretch jeans, a long sleeved denim shirt, a puff coat, and my sunhat! I always say, sun protection is the best skin care possible. No serum, potion, oil or lotion will help your skin in the way that sunscreen can. An ounce of prevention is worth a ton of correction….or something like that. AND gotta have my favorite sunglasses. So in my huge bag, is actually two other bags! My “going out” clutch, and my “knock around” back pack. Both essentials. Especially since I might be seeing a particular young bachelor on this trip. Gotta cover the bases in the handbag department. I only do one thing on a plane, and that is SLEEP. Seriously, a flight is God’s gift of naptime, so you better believe that I take full advantage. I bunker down with this gorgeous leather eye maskleather eye mask from Free People that I got in my FabFitFun box! Yes, I really do use it! And the best part is that with the cooling gel, I wake up with depuffed eyes! Next! SNACKS. I’m telling you, my motto is be prepared when it comes to the food department. With the Specific Carb Diet, I can’t just swing into a Chick Fil’A for some grub. So 9 times outta 10, if you see me, I’ll always have a bag of baby carrots with me. That and a Larabar. The blueberry flavor is my favorite 🙂 Helloooo antioxidants! Now…the Skincare. My other obsession in life. I take care of my skin the way my dad babies his Porche. For the morning: Obagi C Serum – amazing stuff to protect your skin from pollution and regenerate cells. And Josie Maran Whipped Argan Oil Face Butter which sounds really heavy and pore clogging, but it’s actually just the opposite! I top that with some 30 SPF primer from Tarte (not pictured). OK, Moving on – I swear, one of these days the TSA is going to bust me for the amount of liquids I bring, but I’ve dodged ‘em so far! Then for the nighttime skin care. I’ve got maracuja oil – which is a miracle product, truly. Followed by Obaji Gentle Rejuvenation Advanced Repair Night Cream. My brother is a facial plastic surgeon and has one of the best estheticians in his office, and she got me hooked on this. And then I seal it all in with Pawpaw ointment. It’s a cult favorite from Australia, which is like Vaseline, but with fermented papaya in it. It’s amazing. Dry shampoo – duh. I try to only wash my hair twice a week, because it’s really good to let the natural oils condition your scalp. So I live on dry shampoo. This is a great brand because it’s got natural ingredients! And then the heat protectant spray! This one is made by Chi and it’s incredible. I don’t blow dry or flat iron my hair without it. OR this little bottle of moroccan oil. Another holy grail of hair care. I’ve also got my make up brush cleaner from Sephora. Listerine pocket strips – fresh breath is just as important as a firm handshake. OH! I almost forgot my newest obsession : Makeup setting spray! Like hairspray for your face! Haha I love the Tarte brand. It’s so refreshing and sets your makeup for 12 hours. And lastly – I always travel with an image of the Divine Mercy. I don’t think I’ve told you this story yet! I’ll save it for Monday – because it’ll give ya goosebumps! But basically, this image was truly instrumental in my healing from anorexia. My mom was practically hit over the head with it, and prayed a Divine Mercy novena, which coincided with my true recovery. We have a beautiful image of it in our home, too. I’ll give ya the full story next time. Alright! Time to hop on the flight! Thanks for hangin’ with me through this unusual post. All the products are linked if you saw anything that sparked your interest! Or perhaps, for your mom! — Mother’s Day is right around the corner! What are some of your travel essentials?! Previous Post Brussels Sprouts Pesto Pasta! That’s a great image of Jesus! I’m excited to hear about it!! Lara bars–yummytastic!! at least you can sleep on a plane. My last flight to Brazil I slept maybe 20 minutes of a 10 hour flight. I just watched movies the whole way. Have a safe and fruitful time in the Windy City. Trainers (sneakers) are on point! There was a show on TV waaaay back when called Art Linkletter’s House Party. He had a regular feature where in female audience members would let Art rummage through their purses with the intention of finding some knee slapper of an item that would elicit lots of laughs. It was a simpler time, No pistol, can of mace, bag of reefer, or contraceptive was ever found in the mix. This is the same guy who interviewed school children in a segment called “Kids Say The Darnedest Things”, wherein the little tykes would hopefully say something innocently naughty. Bull Cosby, cashing in on his Jello Pudding image, did a cover on that concept. oh my gosh that’s awesome! Cool, i live like 40 minutes from Chicago, in the suburbs. Have fun and stay safe, should have good weather here when you arrive. I particularly single out the Divine Mercy. Powerful. Metuchen is my town!! You should have dropped in!! Hope you liked it and got to see a little of it. Have a wonderful time in the Windy City. May you do well in Chicago. Enjoy a Chicago dog and a Deep Dish Pizza. P.S. You would be a great woman to photograph. The Divine Mercy image jumped out at me as I was reading this! I also carry a Divine Mercy card just like that one in my wallet. We have an 8′ x 10″ framed picture in our home as well. Have you ever read “The Diary of St. Faustina” ? It’s long, but well worth the read! I’m so glad to see you’re keeping busy with your career! It must be very gratifying to be in demand. God is certainly blessing your efforts on all fronts. I keep you in my prayers, especially for safe travel back home! Packing and travel in general is whole other skill set. Takes practice and mistakes! I’m to the point where I can pack for a week in minutes if need be. Sounds like you’ve got a really system down! All my prayers for continued success! 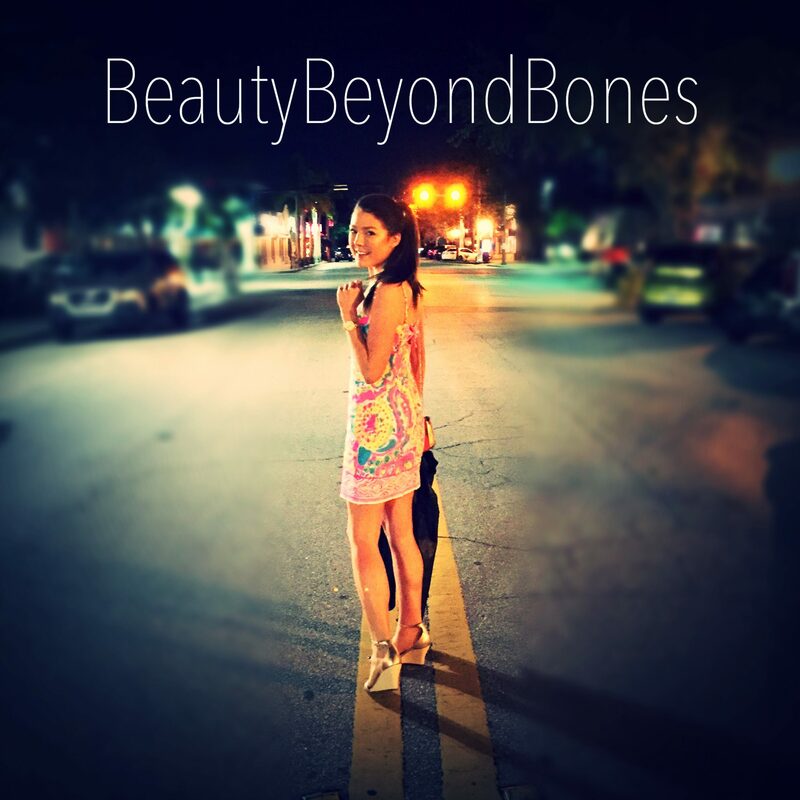 You know, I never thought I’d have “BeautyBeyondBones” and “Commando” in the same sentence, but there it is! Safe travels, Caralyn!! Oh, you’ve got to try the deep dish pizza ! I hear it’s very good! I haven’t been there myself, but my husband has. I’ve also heard of “The Bean”, which is an art structure of a giant bean! I was told that it’s a big tourist attraction. Have a great time! You got me at Divine Mercy. It’s good to know that you find time to pray. Keep it up. Thanks for sharing what’s in your bag…it’s quite a lot. LOL. You and I have a mismatch here! I might have somewhat less stuffs when I go to somewhere, and then I mean a shorter visit, not flying to somewhere for days. If it’s a longer journey, then packed like a soldier. Be safe on your trip! I love the Divine Mercy! And the outfit! Welcome to my neck of the woods. Enjoy your time in “The City Beautiful”! Safe travels!! I loved this post. I’ve always been curious and fascinated with what others do when traveling!! Keep ’em coming and looking forward to you Divine Mercy story! My essentials include a beard trimmer, toothbrush and toothpaste, and that’s it! Haha LOL! You’re always looking like a movie star. 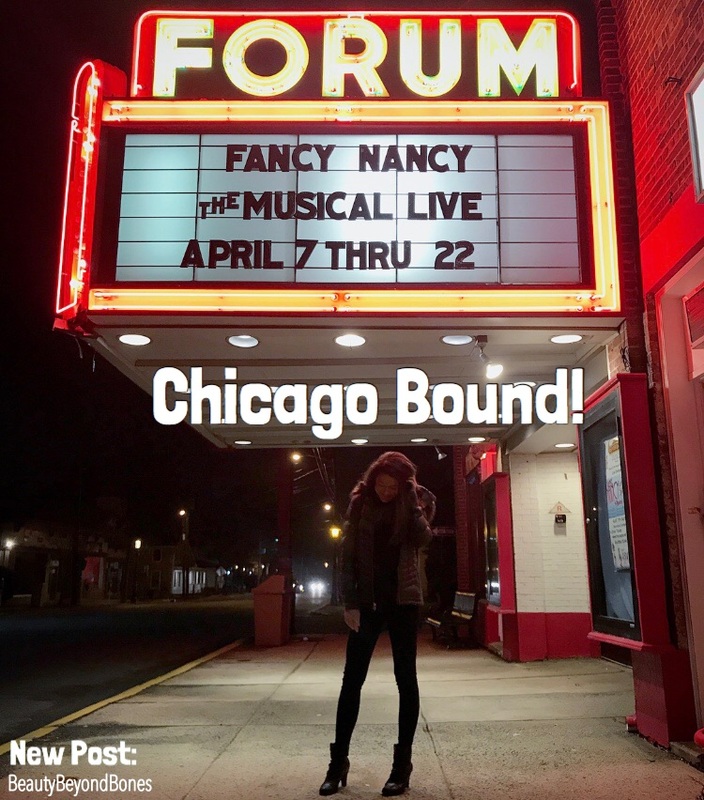 Chicago–watch out! That was fun! Enjoy Chicago. You are here for our first really beautiful weather weekend. Good luck on the call back – great packing plan – ESSENTIALS!!! Hope your time was nice while visiting my city. Have a great time..looks like your prepared plus some..watch out batchelors shes arrived…and blessings on the journey..
What are they about? Clothes? Meds? What is the commercial about? Jesus and Larabars…don’t leave home without ’em! You had some great tips on here that I didn’t think about. But I would add one other thing to the packing list if you don’t do so already: a towel. There have been so many cases over the years where I’d be doomed without a towel (or was doomed because I didn’t have one). You might not think it’s necessary when you’re just staying at something like a hotel, but you never know! Not every accommodation in the world provides you with complimentary towels. Looking beautiful as always. “Your body is the temple for the Holy Spirit”. ( 1 Corinthians 6:19 ) Love all esp. The Divine Mercy image. …….”Jesus I trust in YOU.” Wishing you well on your trip. I stand in amazement still at the supermarket of things a woman can produce from her carry purse, and here you’ve taken it to a whole new level. You carry a Mall with you in a suitcase. Enjoy your working trip and all good vibes for the meeting with a young bachelor. We’re rootin for you! I’ve been wanting to try the Obagi Serum. Also, I just saw you on Mother Goose Club. Sweet! My daughter likes that show. One of my travel essentials is a power bank for my iPhone. Sounds like you could have used one. One that I keep in my travel bag has a capacity of 6600 mAh (three charges); it is the size of a credit card and a little less than an inch thick. It takes about 2200 mAh to charge a smart phone one time. Wow you are achieving a lot. God bless you always. I will pray for you. The Holy Bible, toiletries, makeup , anointed oil, etc. Just to name a few, a notebook or notepad cause I write 🙂 hope your stay was a blessed one.